Take in any of our special rides, whether for one hour or eight hours, or take in the beauty of the Yaha Tinda from the back of a horse. 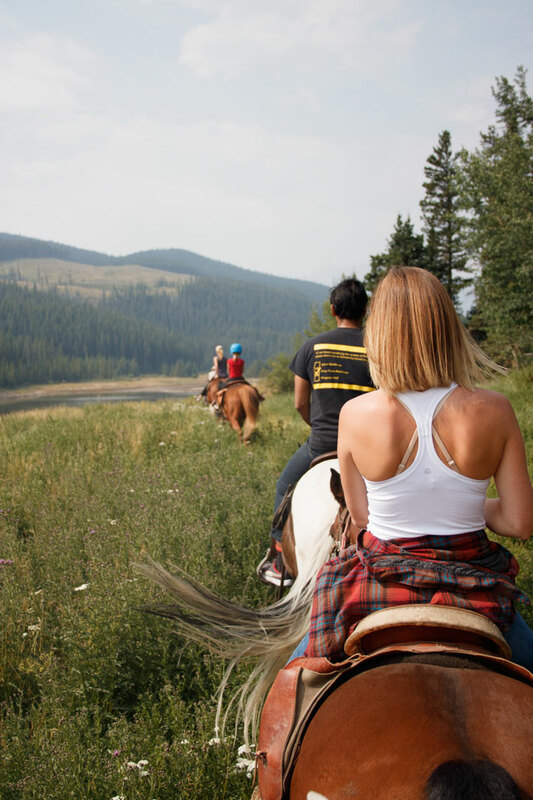 You will ride through terrain surrounding the Panther River in Alberta’s west country. Visit the quiet, serene beauty near Banff National Park and the breathtaking scenery of the Alberta Rockies. 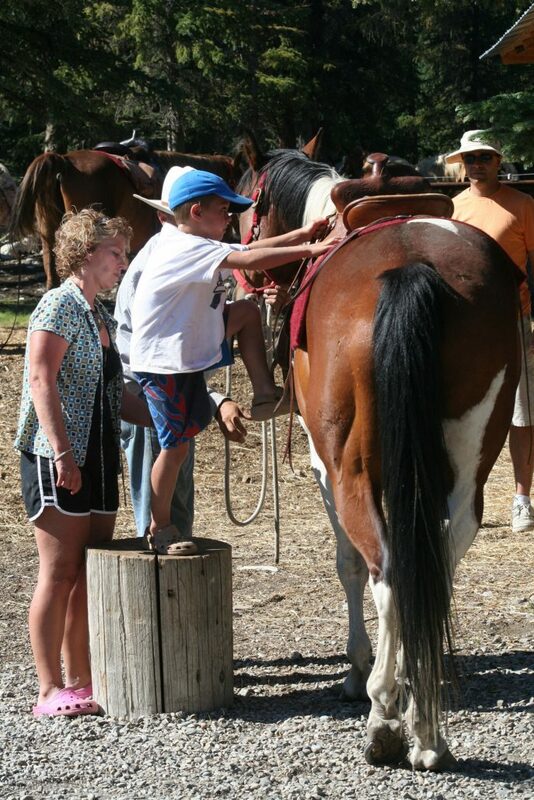 All guests will be mounted on gentle, well broke horses, suitable for all ages and ability. Rides are led by friendly, knowledgeable guides. Full Day Trail Riders depart from the Panther River Retreat and explore the exquisite scenic foothill trails between the Burnt Timber Creek and the Red Deer River. Enjoy a box lunch or weiner roast along the trail to hold you over on your journey. This trip can be tailored to your individual wants and skill level. Definitely a holiday on horseback to remember! Minimum age requirement is 4 years – children will be ponied by the guide and must be accompanied by an adult. No double riders. Maximum weight for riders is 250 lbs (113 kgs). Rides over 4 Hours include a bag lunch.